Fidelity Bank has announced second quarter (Q2) 2014 results which showed a marked decline of 21.9 per cent in profit after tax (PAT) to N3.1 billion when compared with Q2 2013, which might be an indication that the bank is struggling to cope without its former Managing director, Ihejiahi. 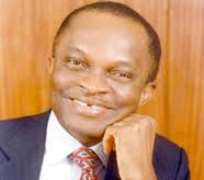 Ihejiahi served as the Chief Executive Officer and Managing Director of Fidelity Bank Plc until February 2014. Although not high-growth bank, it managed to eke out consistent upward growth in most of the years Ihejiahi was in charge. Ihejiahi bowed out of the bank on the strength of Central Bank of Nigeria regulation restricting the tenure of bank chief executives to a maximum of ten years. The bank's profit before tax (PBT) also declined by 5.2 per cent as it booked a loss of N1.2 billion on the other comprehensive income line. In the result released at the Nigerian Stock Exchange on Wednesday, Fidelity's cost to income ratio remains high, at 73.1 per cent, though down slightly from 74.1% in Q1 2014. With respect to the contributions by the revenue lines, non-interest income was the growth driver, increasing 10.0 per cent, and helping to offset a slight decline of 2.2 per cent in net interest income.